If you’ve been following my posts, you know that I treat the unusual events of our waking lives exactly like dreams. This week I am going to examine two events that happened concurrently in the everyday life of the dreamer. Although they seem to be unrelated, we will soon discover—as did the dreamer himself—that they are metaphorically linked, delivering the same message twice. What follows are the two dreams as told to me by the dreamer. Remember, this dreamer is not asleep; he is going about the normal business of a typical day. 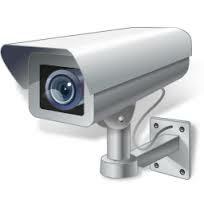 I have promised my wife that I will install surveillance cameras at the front and back doors of our house. The images will be monitored on screens placed in a couple of strategic locations inside of our home. She’ll also be able to watch any activity on her cell phone. The trouble is that our custom-designed house does not lend itself to post-construction changes. Also, we live in a pocket of really poor Wi-Fi reception, so there is some question about whether the monitors—preferably wireless—will actually work. There are no electrical outlets in the locations that we want to put the monitors. I don’t know which components to buy, because if the wireless part doesn’t work, I’ll need a different kind of monitor. I find myself making repeated trips to the electronics store to try to get questions answered. One time, I bought a component that was wrong simply because the salesman didn’t know anything about the unit he was supposedly advising me on. The whole project—presumably simple—has become an infuriating ordeal. 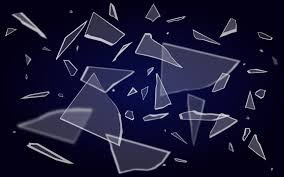 Waking dream #2: Shattered glass. To get to my home office I have to walk through the garage, so we have installed good lighting along the way. I was paying some bills the other day and heard this huge crash. I walked from my office into the garage to see what had fallen, but didn’t notice anything and thought the sound might have come from some gardeners across the street. It wasn’t until my lunch break, when I was going through the garage into the kitchen, that I found myself walking all over broken glass. At first I couldn’t imagine where it had come from since this is in the middle of a path, and there is no furniture or wall nearby. Then I looked up and saw that the halogen light fixture was missing a piece. It usually has a thick rectangle of plate glass covering the bulb, and it was now shattered all over the floor. The whole thing was odd because no one bumped the fixture, and that piece of glass is securely held in place. Weird! The glass seemed to have fallen of its own accord. What do you make of these dreams? Do you have any ideas about these dreams? If so, share your thoughts in a comment, below. Meantime, stay tuned!